Oil & Gas | Mining | 2-Way Radio | Wi-Com Solutions Inc.
Wi-Com Solution pairs with the top manufacturers in the wireless industry to provide, service and maintain effective communication for your entire crew, your assets and fleet. Canada is starting to see a turn for the Oil and Gas Industry. You need communication devices that ultimately ensure safety for your team. From tank monitoring and fleet management to lone worker safety. 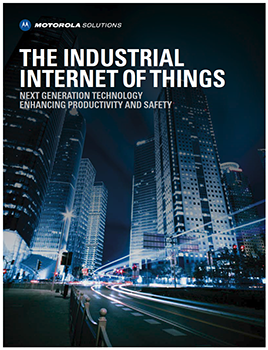 Cloud-based computing and wireless also known as Internet of Things – I0T– have created a new era of safety for lone workers, going beyond current safety standards. Reliable Intrinsically Safe two way radios for Oil & Gas Industry. The most intelligent and durable tools for petrochemical plants, oil and gas refineries, and drilling rigs. We can equip your team with wireless and radio solutions that allow cost effective, easy methods to communicate, to allow notification of any safety issues, even if your crew can’t let you know themselves with Man Down Technologies. The MOTOTRBO XPR 7550 IS (CSA) radio keeps your workers safe in the toughest environments, whether it’s an underground mine or a petrochemical pipeline. Built to withstand the toughest conditions, the XPR 7550 IS combines the latest digital technology with integrated voice and data. Everything about the XPR7550 IS—from the loud, clear speaker to the bright, five-line color display to the integrated “man down” alert—is designed to keep your workers safe and productive.